Fast regrowth and great flavor. Georgia-type produces upright, uniform, attractive plants with richly flavored, blue-green leaves that will sweeten from frost. Tiger has a high ratio of blade to stalk. Fast regrowth allows for great yield potential. Approx. 150 seeds per pkt. 69 DAYS. For each offer ordered, get 150 seeds per pkt. 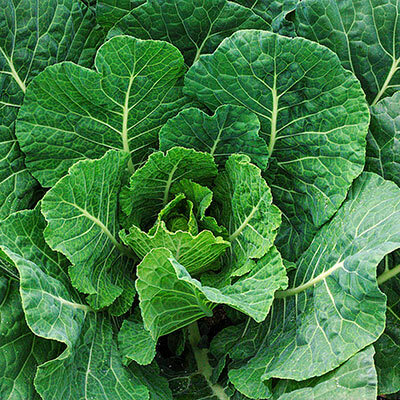 Foliage: Slightly savoyed, blue-green leaves with rich flavor. Pruning: Harvest entire plants or cut individual leaves and enjoy fast regrowth for an extended harvest period.